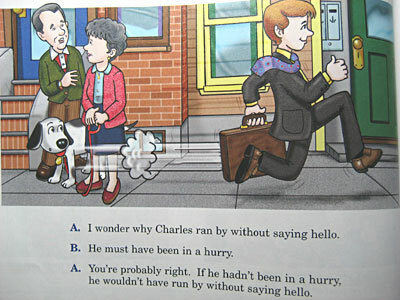 A.I wonder why Charles ran by without saying hello. B.He must have been in a hurry. C.You're probably right. If he hadn't been in a hurry, he wouldn't have run by without saying hello.